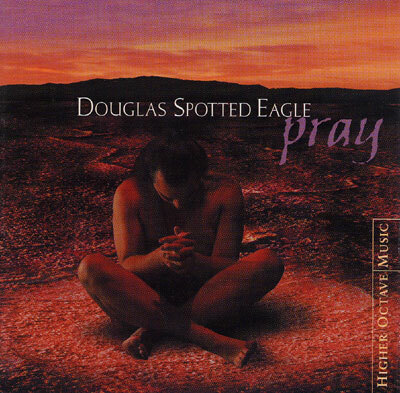 Douglas Spotted Eagle's 1998 release PRAY highlights not only his virtuosic flute playing but also his ability to blend together traditional Native American music (chants and drumming) with digital production. Each track on PRAY evokes the deep, mystical underpinnings of the Native American culture. This music is born from a place that exists beyond the power lines, outside the trappings and prejudices of Western civilization. While it might seem then that the use of drum loops, keyboards, and other modern studio accoutrements would detract from Spotted Eagle's ability to speak to his listener, the noted flutist uses these instruments merely as tools to create music centred on prayer and worship. In fact, each song on PRAY is a paean to the traditional Indian way of life.